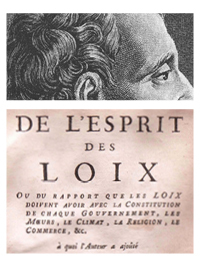 «Montesquieu.it» is an international peer review journal, founded in 2009 at the University of Bologna. It publishes articles in historical political thought, modern political theory, normative and analytical philosophy, and the history of ideas, as well as critical assessments of contemporary works. Editorial Staff: Piero Venturelli (Journal Manager), Riccardo Campi, Emanuele Felice, Antonio Hermosa Andújar.